If the watch is not moved, it will stop after 38 to 40 hours. In this event, leave the crown in position 0 and give it around 30 turns until it is fully wound. Although a gentle shake of the watch will get it going, your movements during the day are not enough to wind it up fully. That is why you should wind it up first. If you take it off for the night, although the power reserve will go down, it soon builds up again the next day as it is not too unwound. A safety mechanism prevents the movement from being over-wound. When setting the calendar mechanism (this does not include the moon phase or weekday indications), care must be taken that the calendar is not in a switch-over phase. If it is, the activity of setting could damage the hour rod finger or one of the wheels. For the moon phase and date watches: do not change any settings between 8 in the evening and 2 in the morning. For the annual calendar, the date and month settings should only be changed between 6 in the morning and 12 midday. Major shocks are the enemy of any mechanical watch. A mechanical watch is deemed shockproof if it survives being dropped one meter onto a wooden surface without deviating by more than a certain number of seconds either way. If the watch falls at an unfortunate angle, however, a repair may be needed. 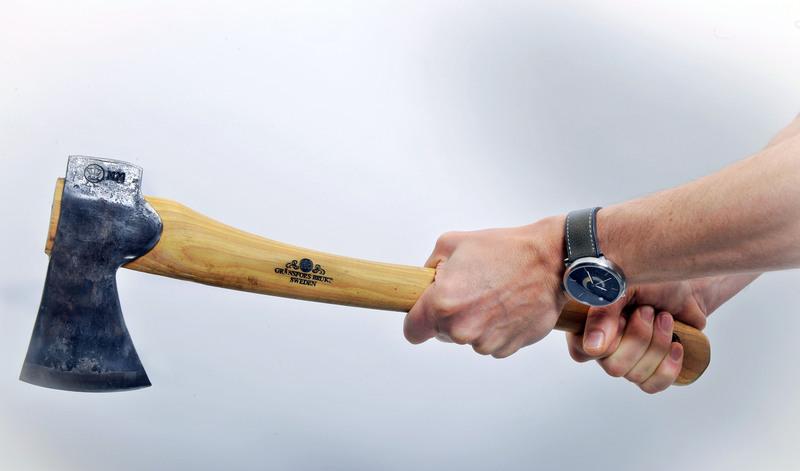 It’s best not to wear your watch when playing golf or when mountain biking, boxing, chopping wood or similar. We don’t want to be killjoys – feel free to wear it if you really want to. If, however, something happens and you tell us what you were doing at the time, both you and we will learn by the experience. Either way, we will fix the problem. Water attacks metal parts, which includes the movement. It therefore needs to be kept well away from the watch interior. ochs und junior watches are water resistant. You can go swimming with them and give them an occasional clean under lukewarm water using a soft brush (especially after swimming in salt water). However, you should be aware that, despite everyone’s best efforts, water might enter a watch: sealing a watch is a real challenge and cannot be 100% guaranteed against all eventualities. If this happens, please contact us immediately. Problems with ingress of water tend to occur in the summer months. When the ambient temperature is high, the inside of a watch left in direct sunlight can quickly reach 70 degrees Celsius, which causes materials to expand. The wearer then goes for a swim to cool off. The different materials respond to the sudden drop in temperature by contracting at different speeds. If the seals cannot cope with the stress, water can get in. That’s when the watch must be handed in for service. A similar thing can happen when the wearer takes a shower or cleans the watch: the soap used can alter the surface tension of the water. This can cause the water to enter via the seal. Testing for watertightness really only paints a momentary picture. A shock can alter that picture. 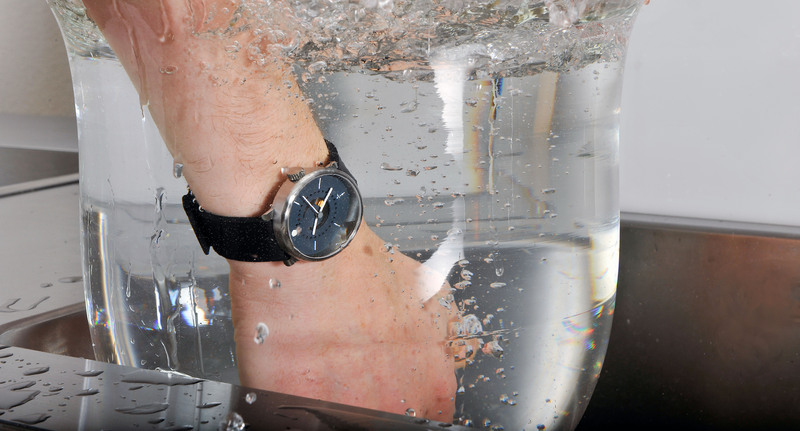 For that reason, we recommend having the watch tested for watertightness every year if it is in contact with water. This can be done by any reputable watch dealer, or by us. If you intend to keep the watch on when swimming, etc., we recommend you use our rubber or sturgeon leather strap. 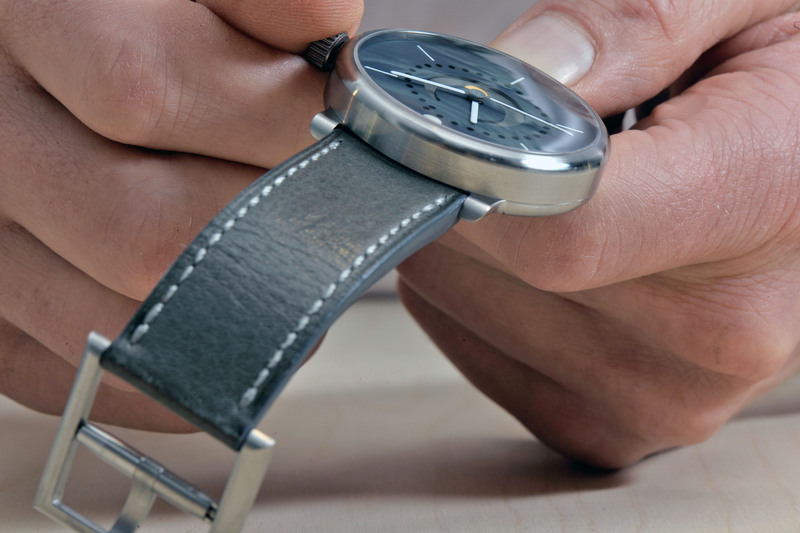 If worn on a daily basis, we recommend a leather strap be changed annually for reasons of hygiene. People sweat more in the summer months, so you might consider swapping to our caoutchouc strap during the warmer months. Leather straps should not be subjected to water in the form of showering or swimming (the sturgeon leather strap is an exception). 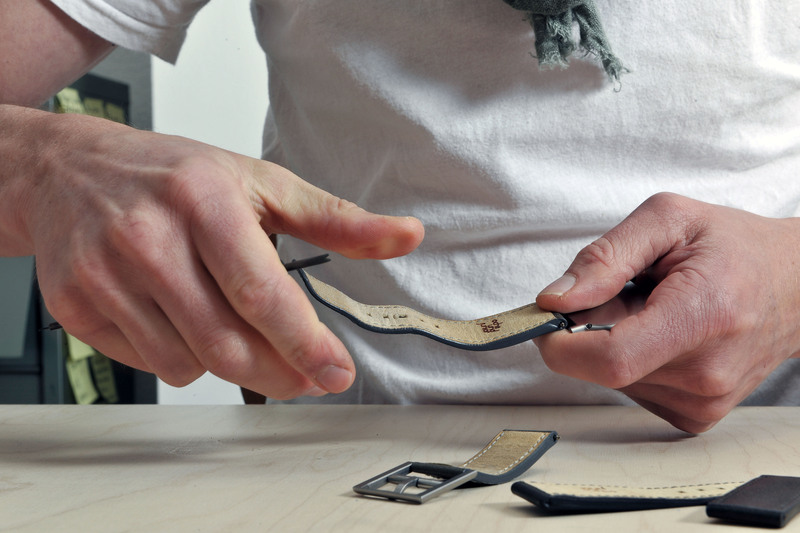 The leather straps supplied by ochs und junior are eco-tanned using plants and are thus free from heavy metals. We know of no allergic reactions caused by our Ecopell leather. 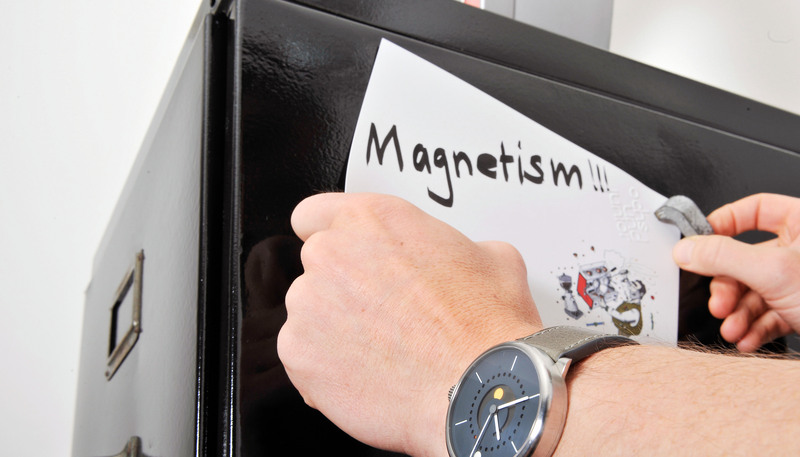 Magnets in recent years have increasingly caused problems with watches. If you find your watch going unusually fast, this could well be due to its having been in contact with a strong magnet. Watches should be kept well away from loudspeakers, chargers or other sources of magnetic fields. 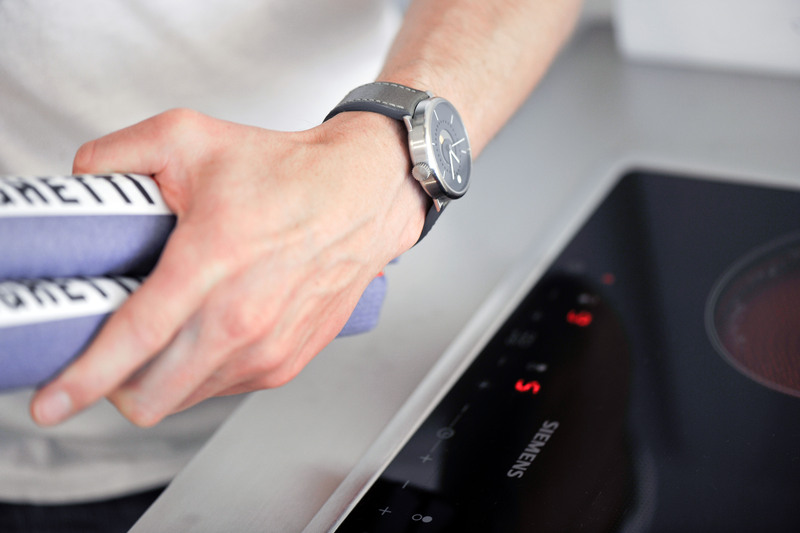 To date, there is no clear evidence of adverse effects from mobile phones on watches. If a watch has become magnetized, this can be corrected without much trouble or expense by a reputable watch dealer. High temperatures and direct sunlight can cause the lubricants in the mechanism to evaporate. UV radiation can affect the color of dials and hands. Here, too: avoid leaving the watch in direct sunlight; the effects of heat and UV can be corrected, but it’s best if they don’t happen in the first place. Unless something really serious happens, a mechanical watch can always be repaired – even decades later!